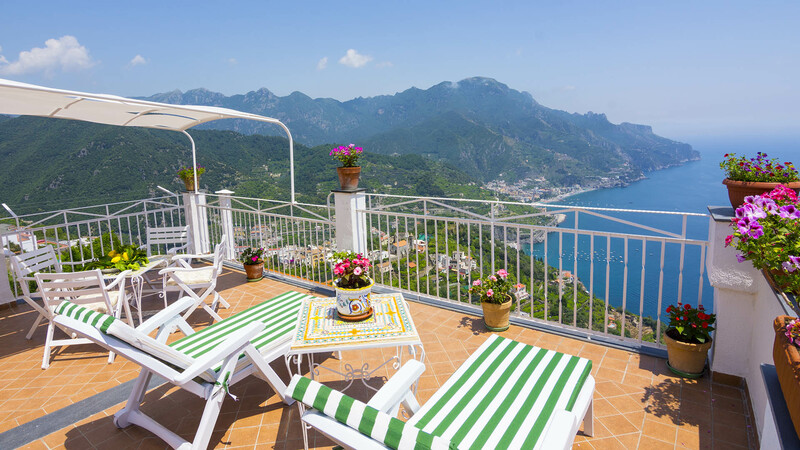 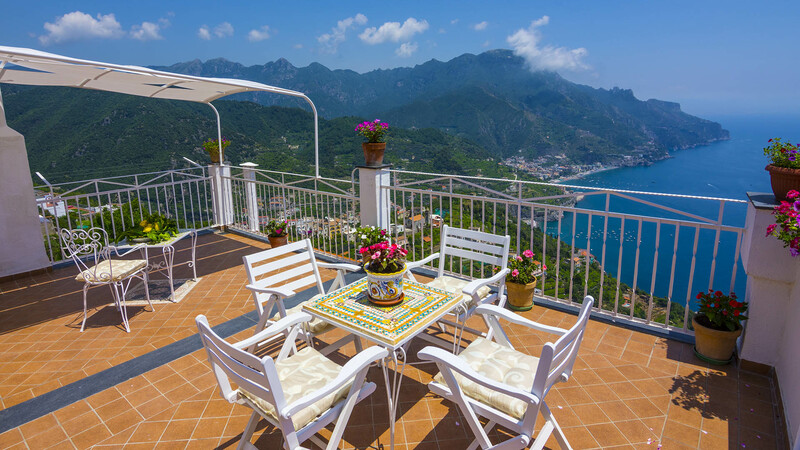 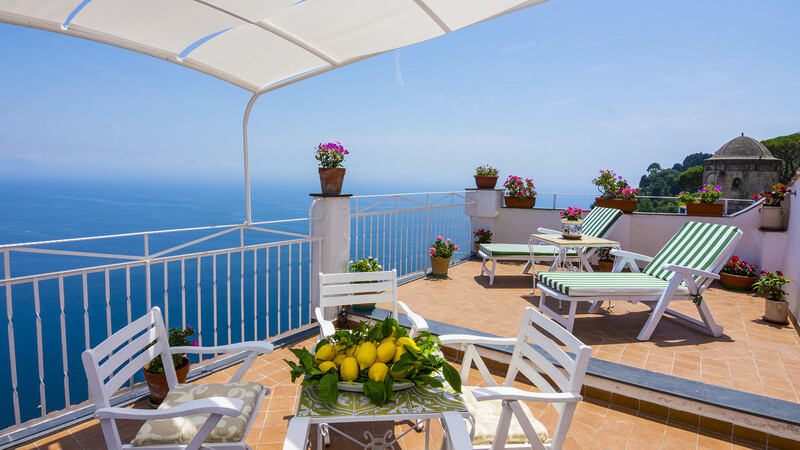 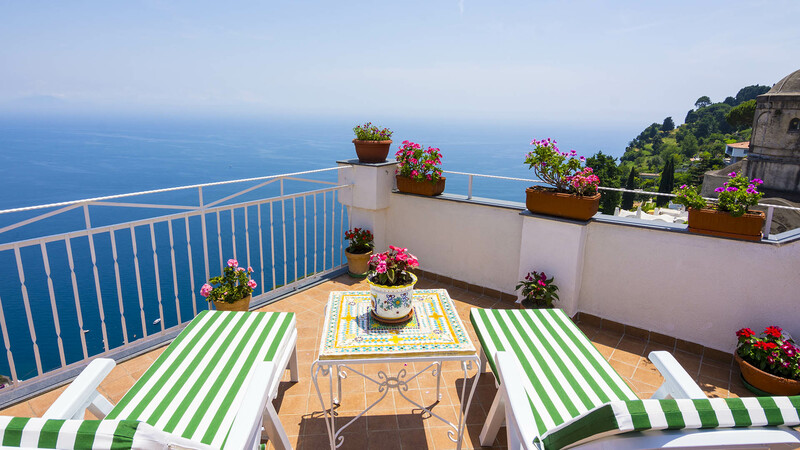 Casa Annunziata Luna is an independent apartment located in a building of XIII century , in the historic center of Ravello, just a few meters from the gardens of Villa Rufolo and the Annunziata Church, the apartment faces directly to the sea of the Amalfi Coast. 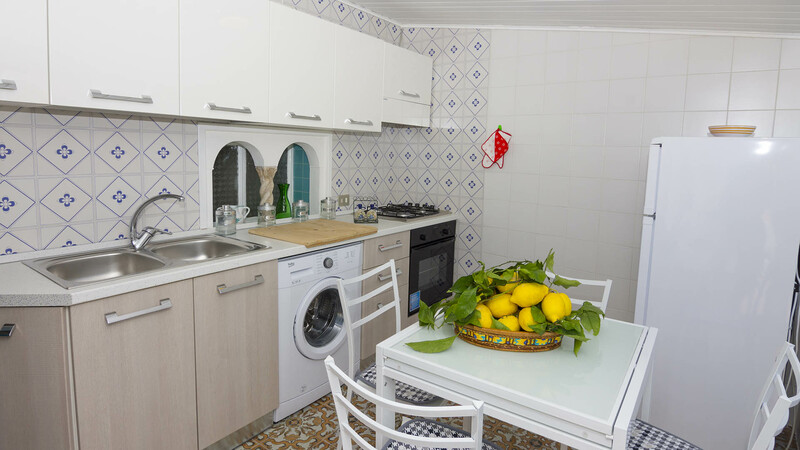 Apartment with view, kitchen utensils and hob. 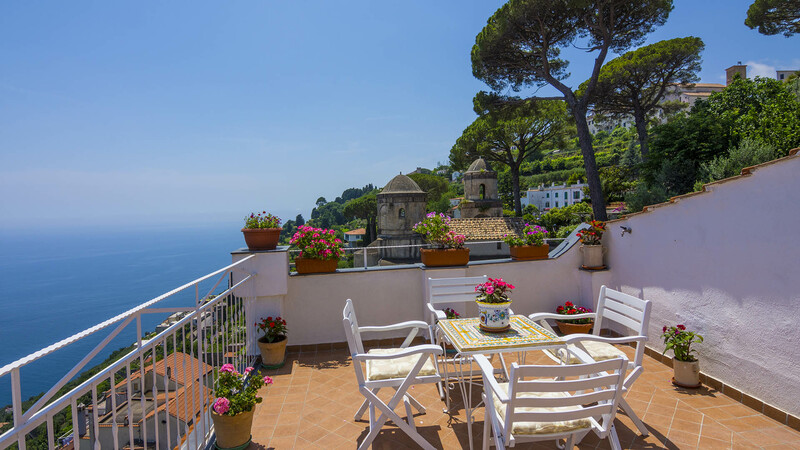 – Rooftop terrace – solarium with sun loungers, overlooking the Annunziata Church, overlooking the coast of the sea. 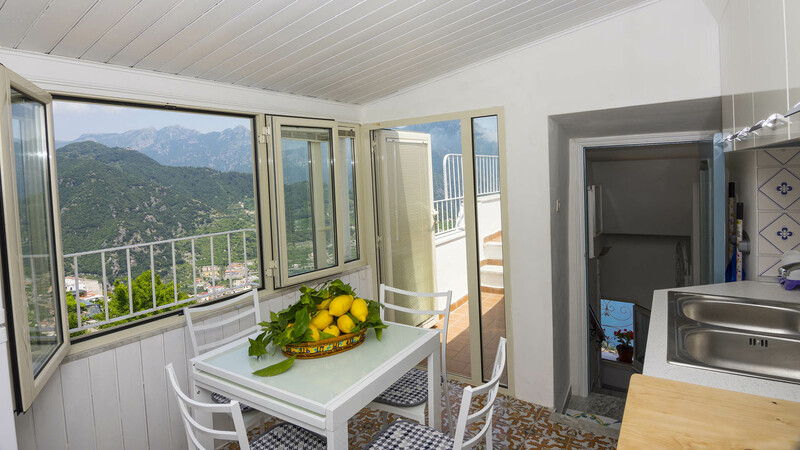 The apartment is equipped with free Wi-Fi system, they have allowed smokers, pets not allowed. 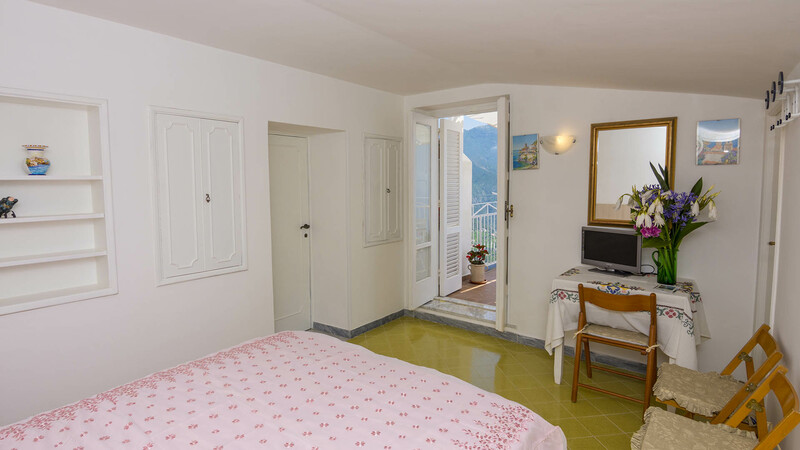 The apartment is about 100 steps from the main road, where there is the bus stop, is available on request home delivery of groceries. 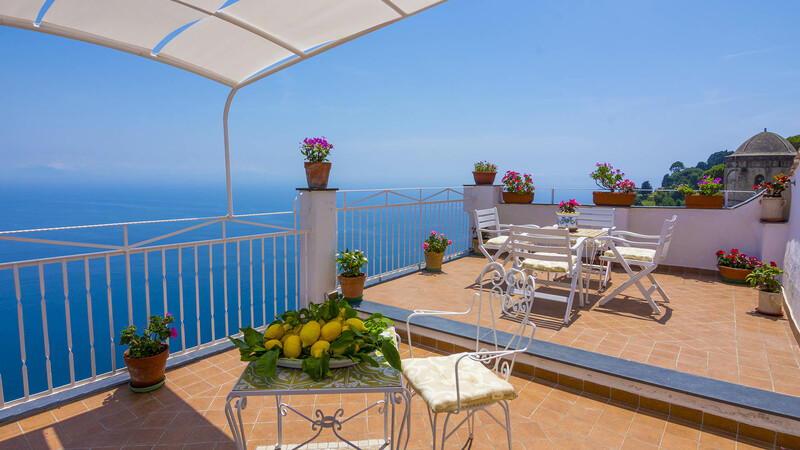 Table prices for Casa Annunziata II: the price is per day for the whole apartment, for up to 2 persons + free cot, the price includes: final cleaning, electricity, wi-fi, laundry room, minimum stay 3 days. 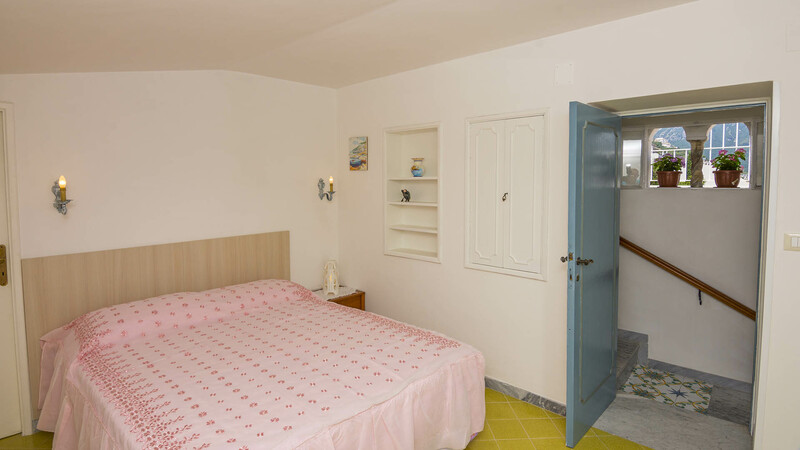 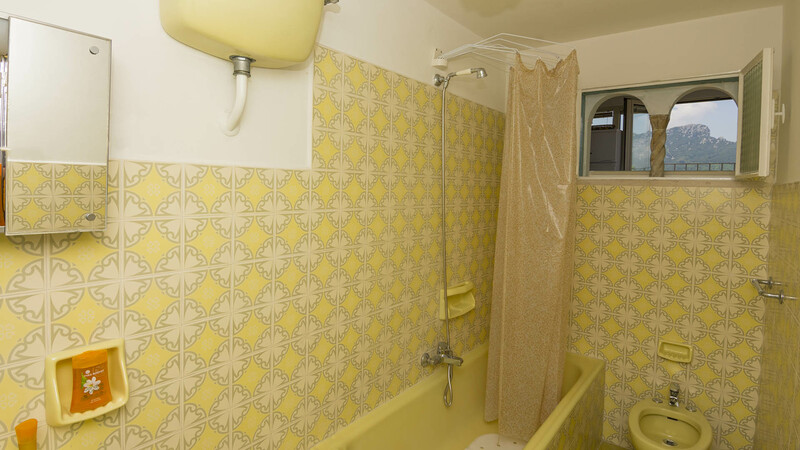 L’appartamento può essere fittato insieme all’appartamento Casa Annunziata Mare, posto al piano inferiore.